Since working directly with Flolight, the video lighting manufacture, there have been some exciting and fun events taking place. Like the recent lighting demo at 4th Street Studio’s. These shots were all done with the FloLight lighting systems. Thanks to the wonderful model Domonique was lit here using three LED lights. With a separate spot on the backgrond. Simple, clean, but beautiful. Lighting set-up for these shots started with a 2500 fluorescent from FloLIght. Aided by 2 – 330′s for a rim light, and one LED spot on the face. 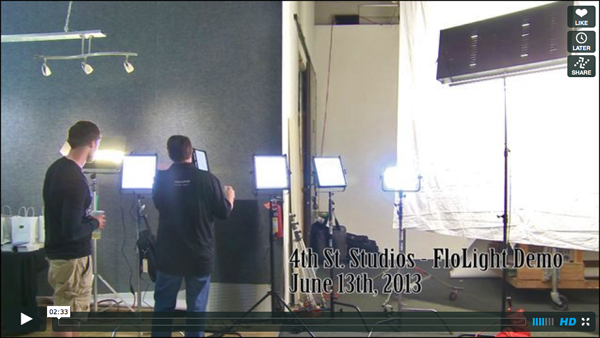 4th St. Studios – FloLight Demo from FloLight on Vimeo. Feel free to send an e-mail if you would like to be invited to the next lighting demo.